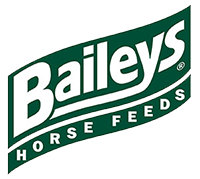 Baileys has a working partnership with Progressive Nutrition, Iowa, USA, headed by leading American equine nutritionist, Don Kapper, which gives Baileys access to the extensive research that he and Progressive are undertaking, and offers the potential for further innovations across our range. We are also proud to include Alltech naturally produced feed additives which are backed by years of research and proven to bring real nutritional benefits. With our continuous investment in production technology too, the “science behind Baileys” truly is of the highest calibre.